Yipee! Here is OUR Salviati Fish! Well, we got him! 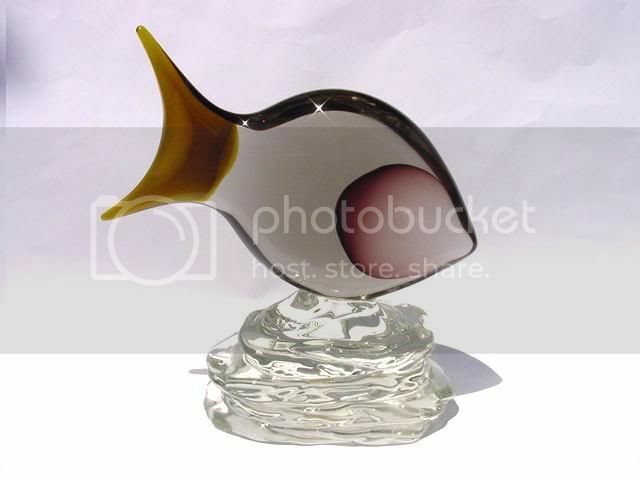 The Salviati Loreando Rosin Fish Sculpture. 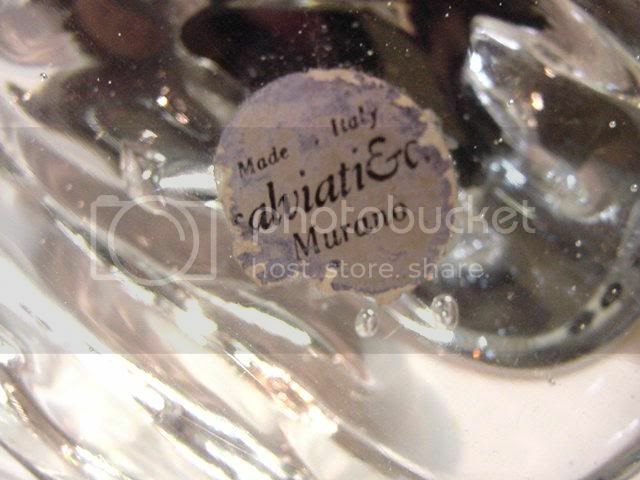 Here is a pic of him and one of the Salviati label. Will enjoy him over the next week while he is being listed. Its a very, very heavy piece with lots of color in the fish body and wonderful concave eyes!